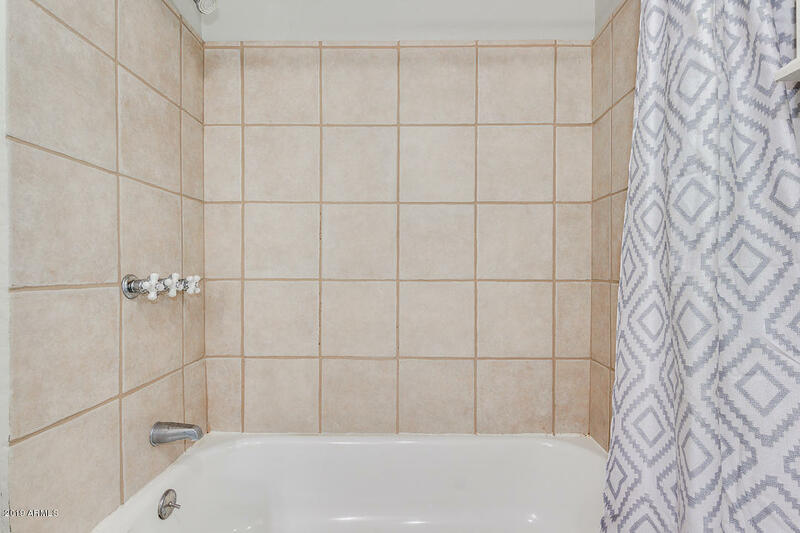 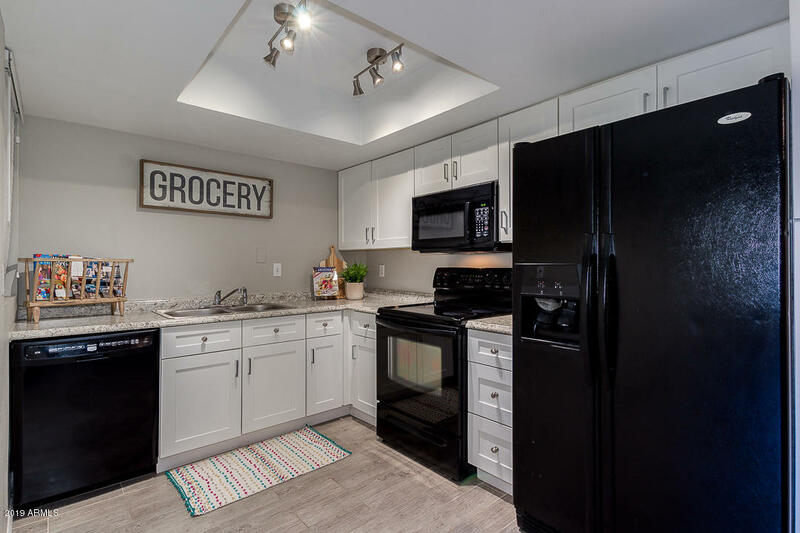 This quaint, open concept condo has the ultimate mix of character and comfort! 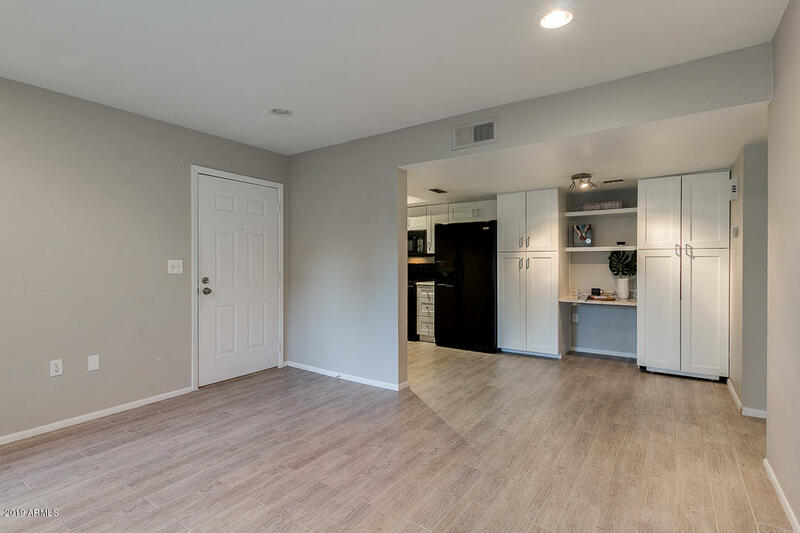 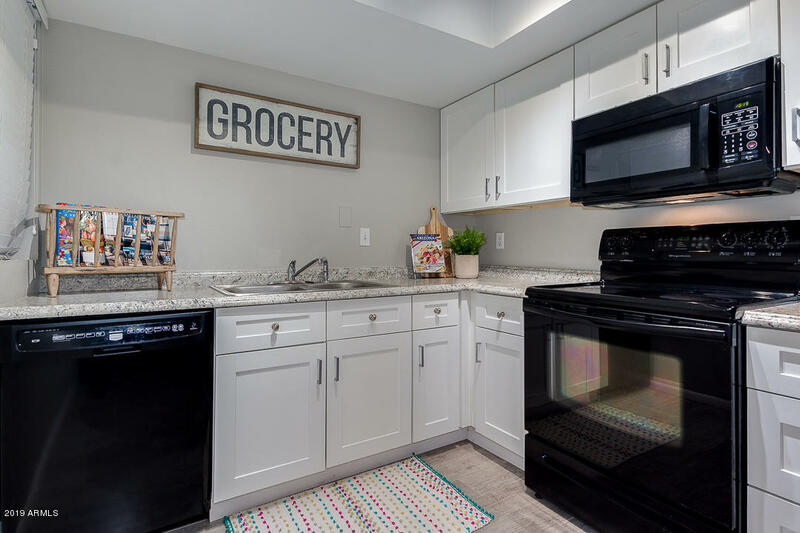 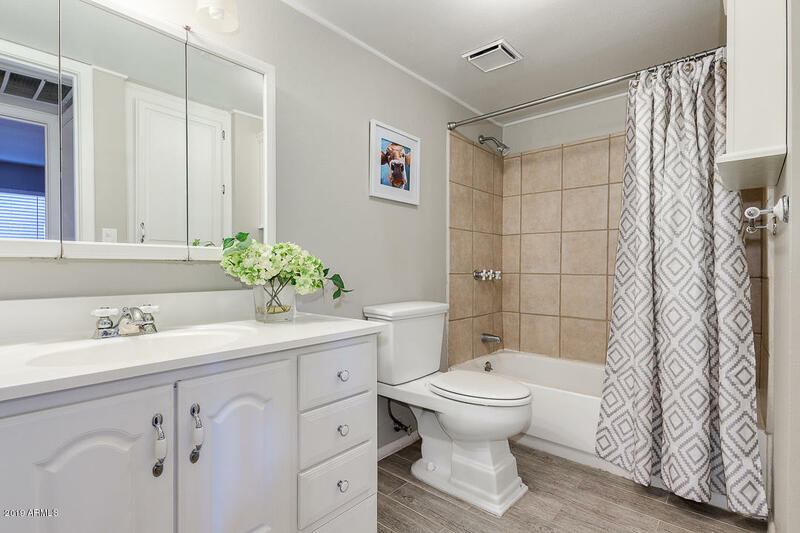 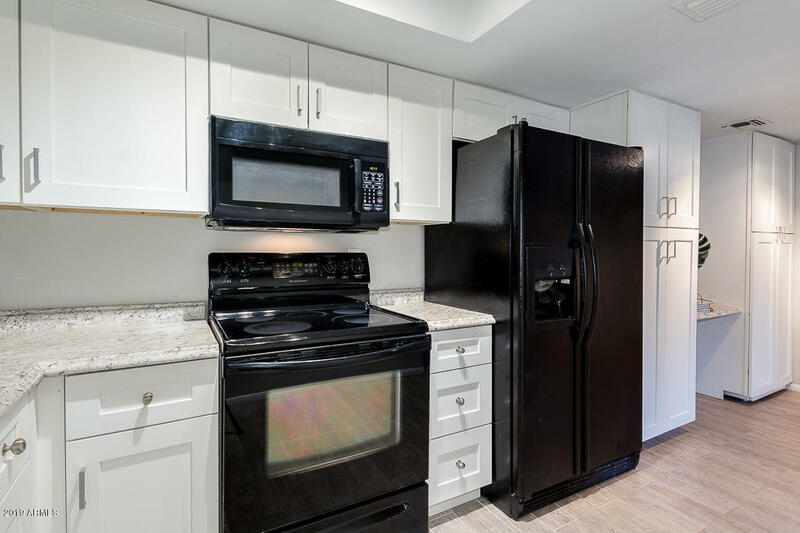 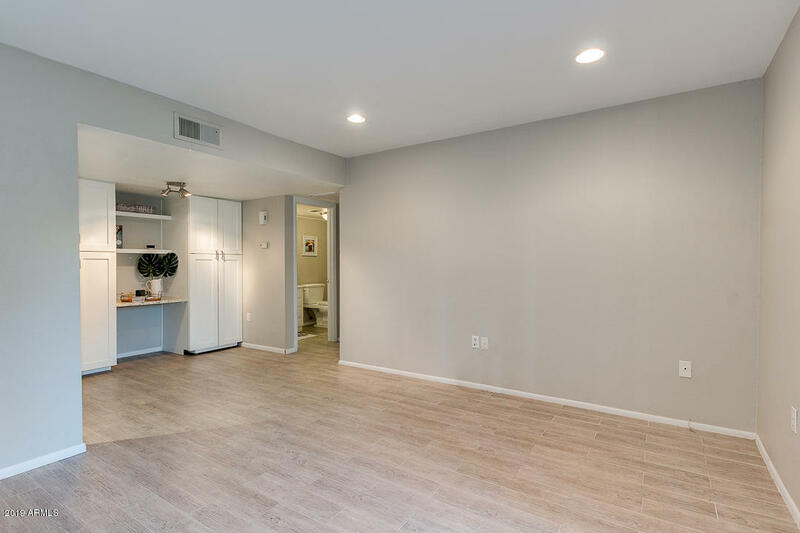 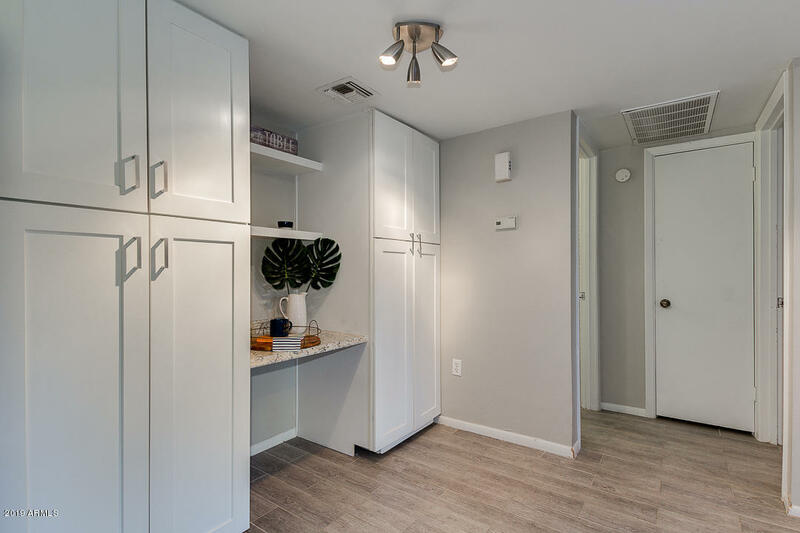 A fully renovated kitchen boasts sprawling shaker-style white cabinetry for max storage, complete with roll out drawers, built-in desk and built-in washer/ dryer. 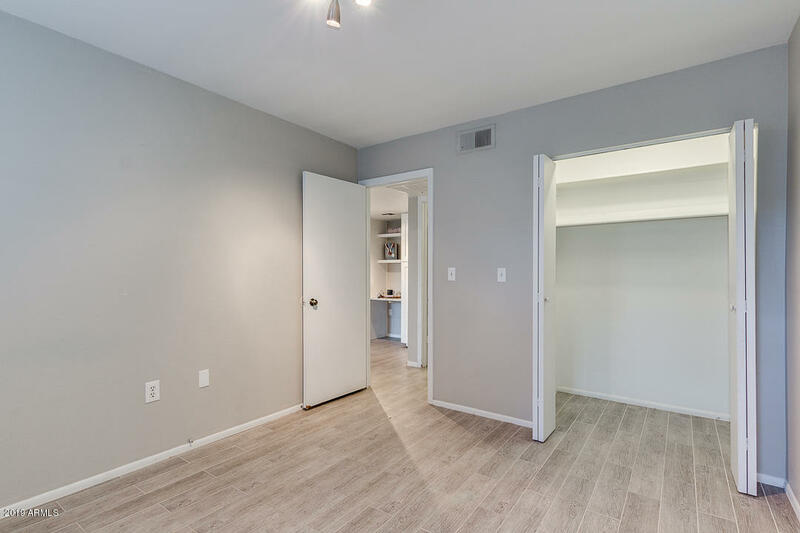 Wood, plank tile flooring frosts all of the floors in the main living area and bathrooms. 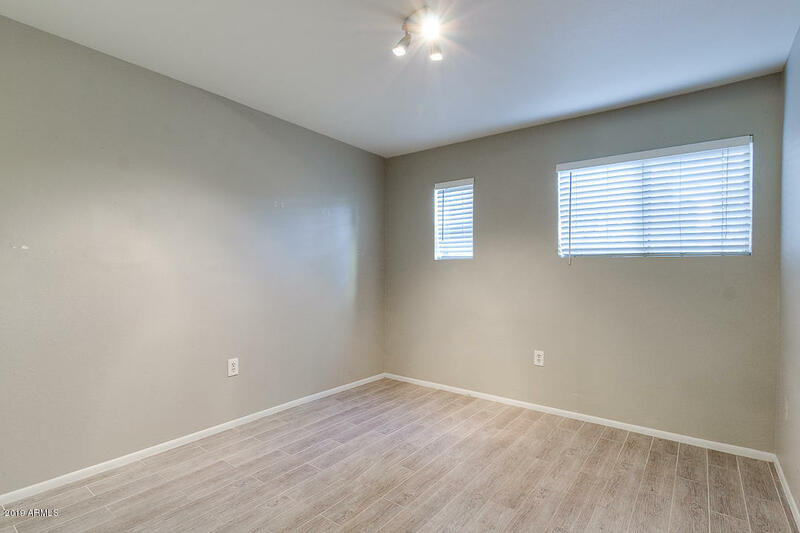 Plush clean carpet will keep you comfortable in Luxurious Master bedroom. 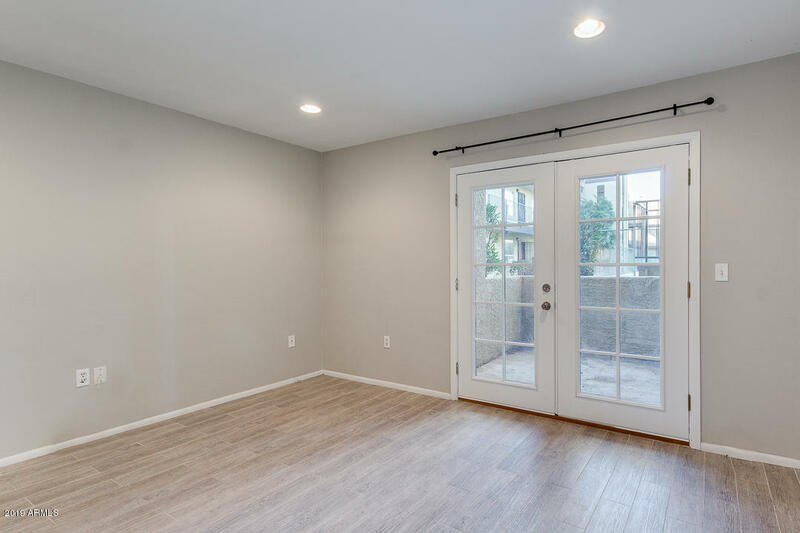 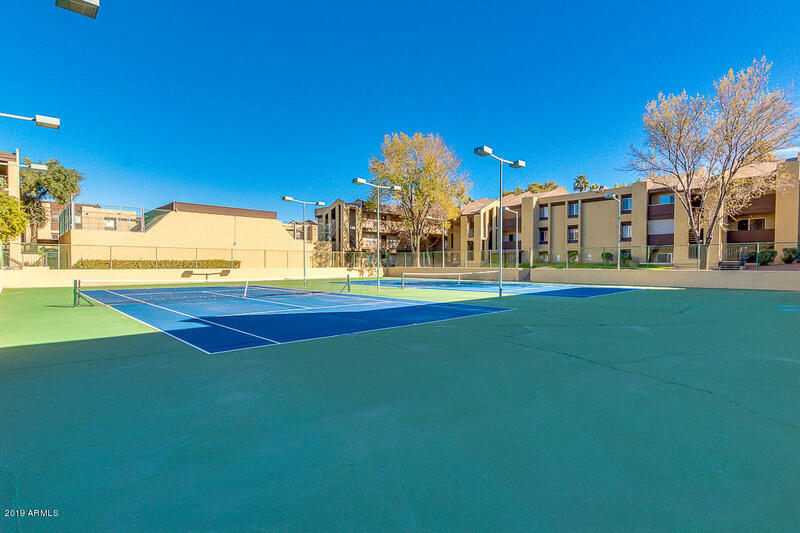 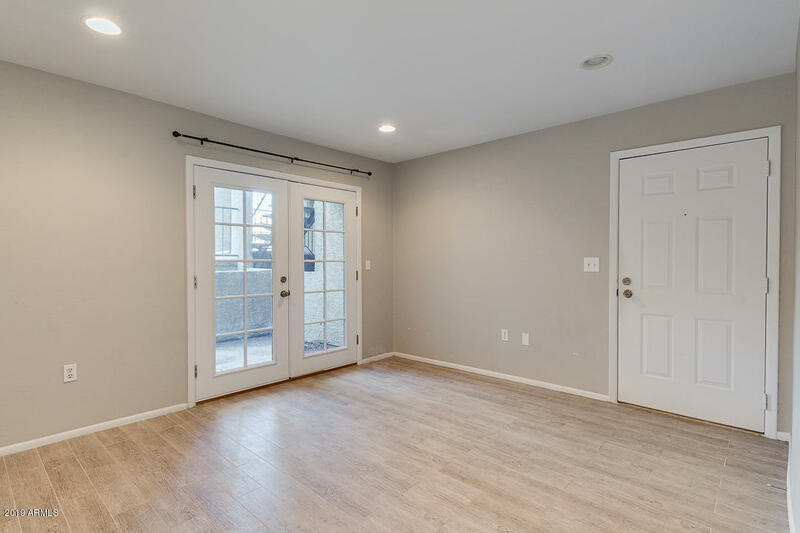 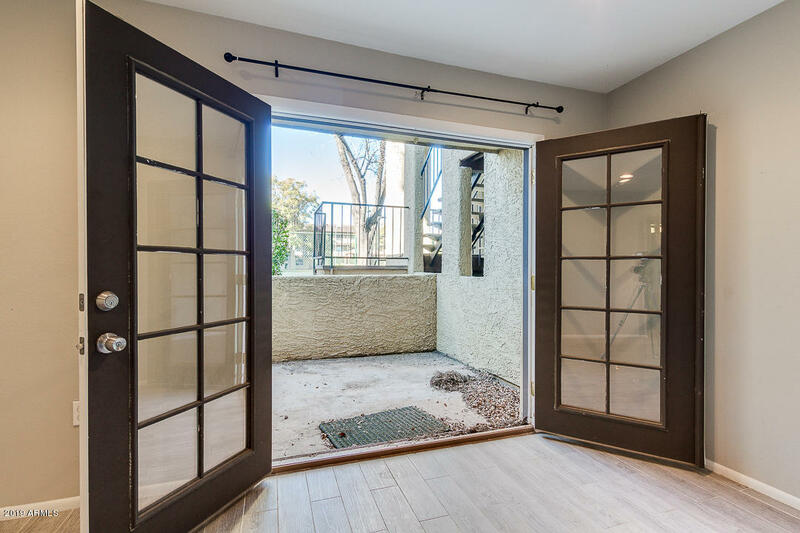 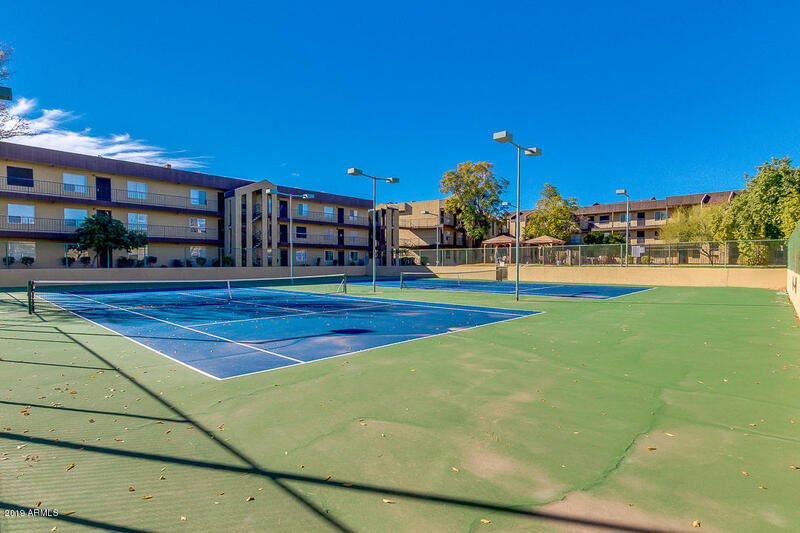 Outdoor covered patio overlooks community tennis courts and is very close proximity to many of the 4 community pools. 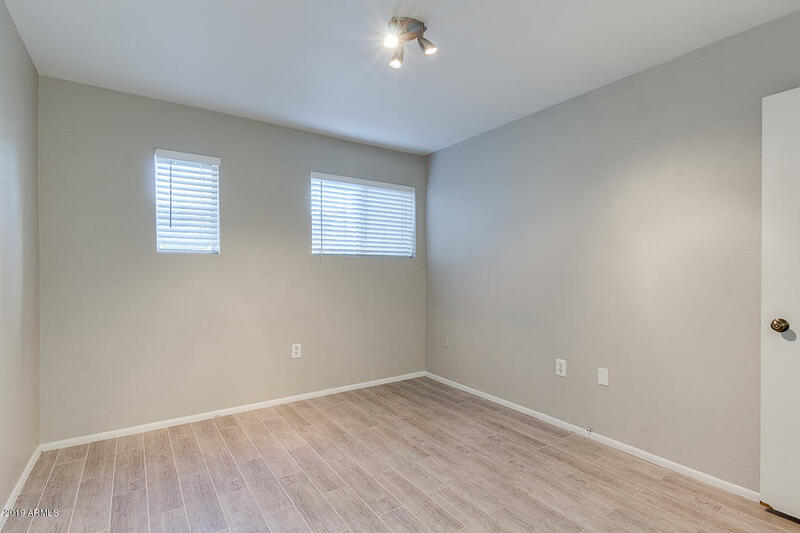 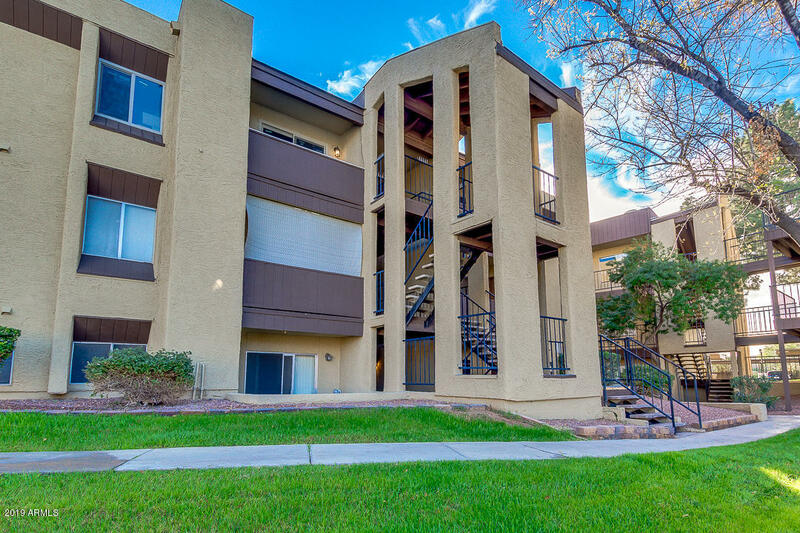 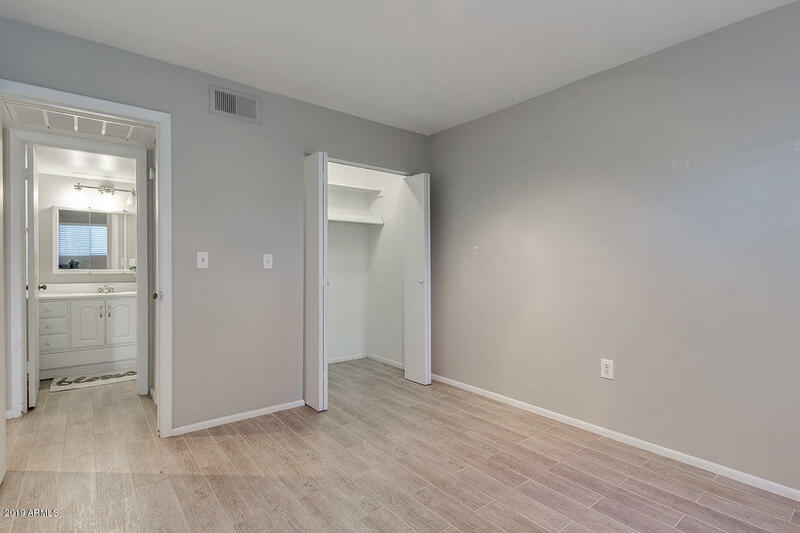 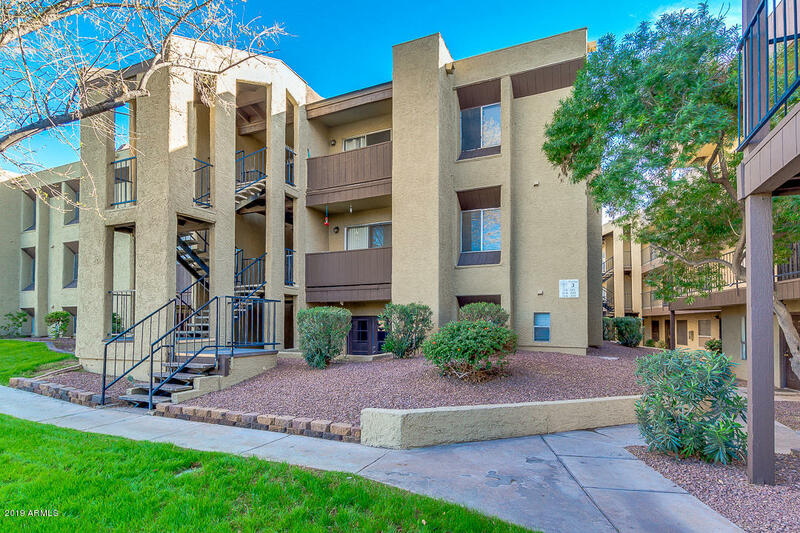 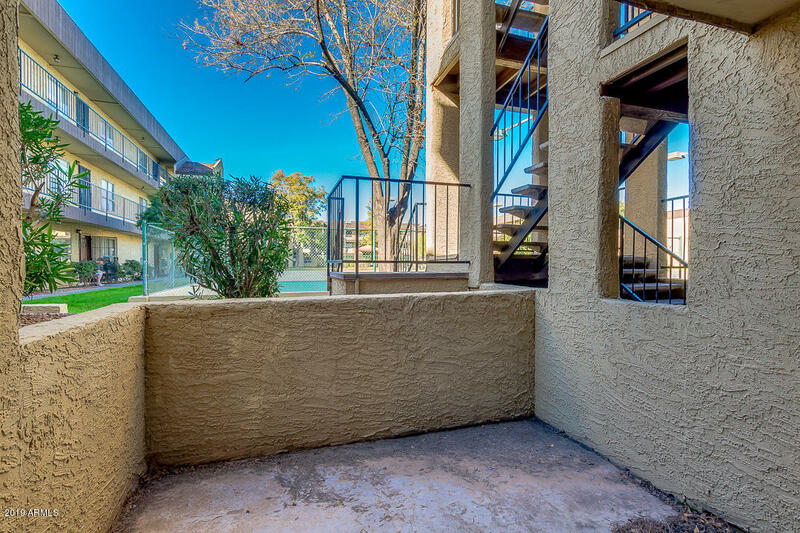 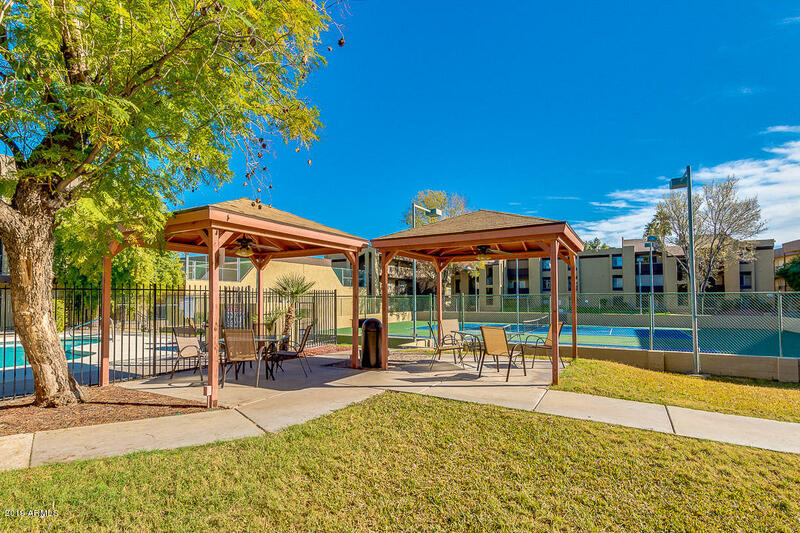 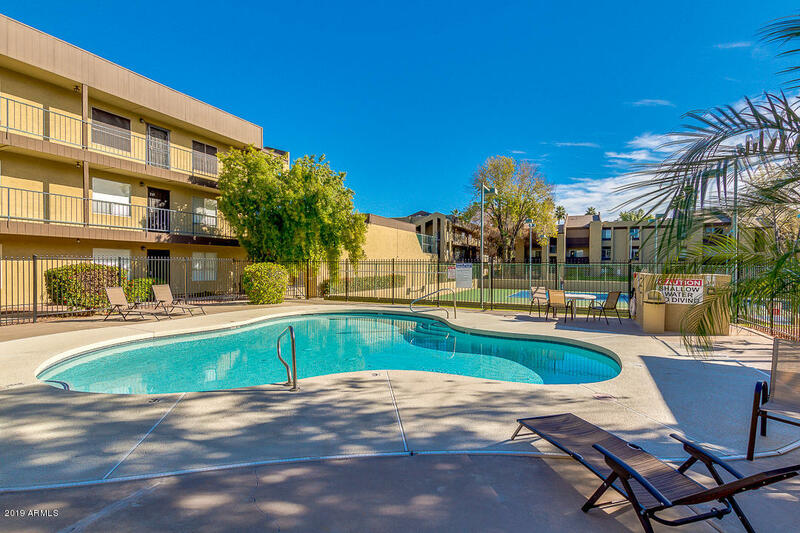 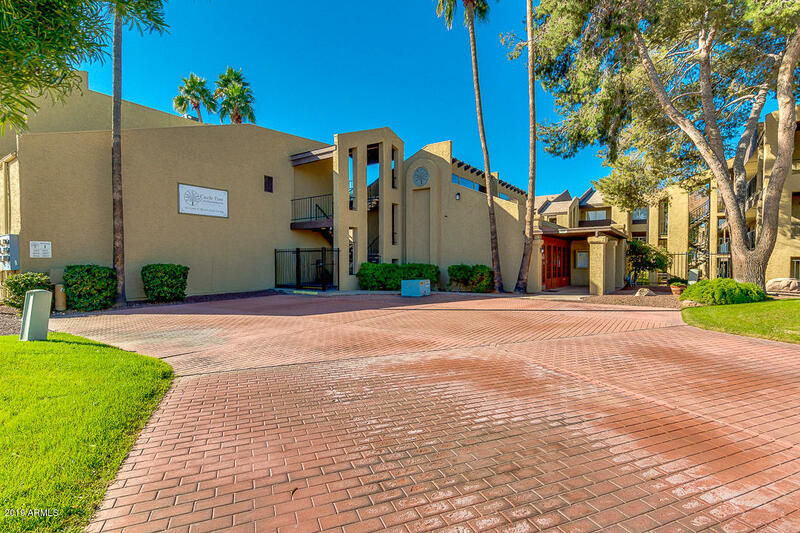 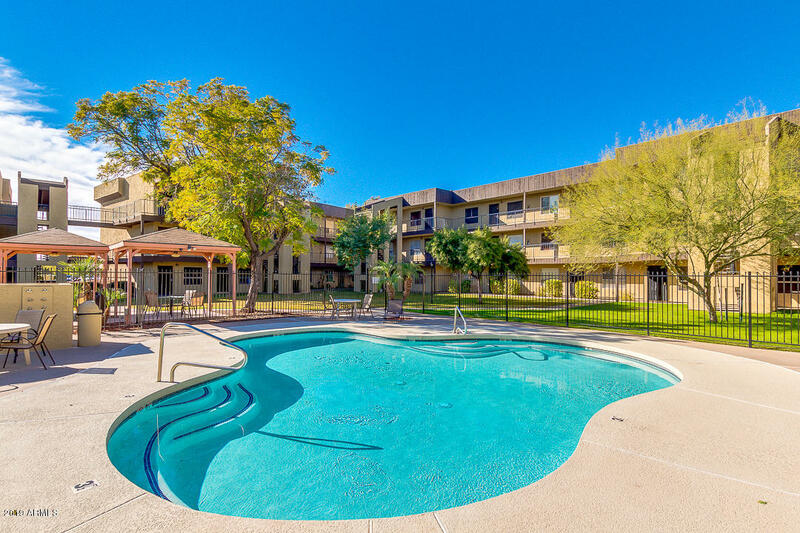 The condo provides gated entry and is close proximity to shopping, dining and the US 60 Freeway.